We offer the huge collection of Crystal Quartz Shiva Lingam Pendulums With Spiritual Activity. This Lingam is the power of Shiva. Also it is give a positive vibes. This Lingam is powerful and used in meditation. Shiva gives a positive vibes in Life and removes negativity. 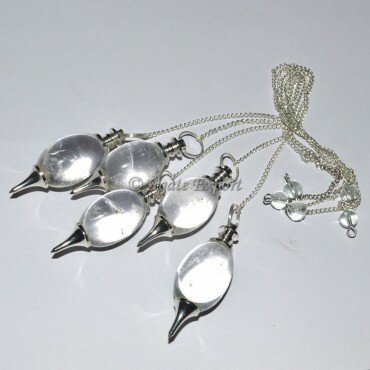 Place the order for this beautiful Shiva lingam Pendulums.